Located on the right bank of the Douro river, Quinta do Crasto is the family estate of Leonor and Jorge Roquete for over a century. It's origin dates back to the early 17th century as its first known references are from 1615. The property has approximately 130 acres (321 ac.) including a large percentage of old vines averaging 70 years of age, highlightning the famous Vinha Maria Teresa and Vinha da Ponte, from where the special category wines Quinta do Crasto are born. Besides producing premium wines, Quinta do Crasto also produces three types of Port Wine - Finest Reserve, LBV and Vintage - and has recently begun the production of olive oil of superior category, having already two references: Premium and Selection. Quinta do Crasto is currently managed by the sons of Leonor and Jorge Roquette, Tomás and Miguel, who are betting on the modernization and evolution of the business, while respecting the family tradition and values that distinguish the Quinta and its wines. Since 1997, the year when the prestigious International Wine Challenge staged in London by Wine Magazine attributed to Quinta do Crasto 1995 the Wine of the Year award, the distinctions of the leading critics and international publications have never ceased. One of the greatest distinctions arrived in 2008, when the magazine Wine Spectator, an international benchmark of the sector, considered Quinta do Crasto Reserva Vinhas Velhas 2005 the third best wine in the world that year, giving it a score of 95 points out of a hundred. Since then, this wine has always kept its place on the Top 100 of this American publication. This space opened in 2012 and here visitors can buy Quinta do Crasto wines and olive oil as well as regional products such as jam, honey, olives and home-made cookies. All products come from the Quinta. You can find in this shop some unusual sizes of wine bottles, such as the magnum version of 1.5 L, 3 L, 6 L, 12 L and even 18 L. You can also find handicraft articles and replications of the famous Forrester's map of the Douro. The swimming pool, of the Architect Eduardo Souto Moura, winner of the Pritzker Prize in 2011, located just above the Douro river, has been receiving many visitors over the past few years as well as many reports in the national and international media. The dining room can be used as a meeting room, accommodating up to 18 people. 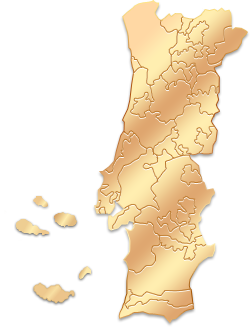 Quinta do Castro is located on the right bank of the Douro river, between Régua and Pinhão. Coming from Porto, follow the A4 motorway to Amarante / Vila Real. Soon after, follow the IP4 road to Vila Real and then take the A24 motorway towards Viseu. Take the exit 13 of the A24 and follow the road towards Sabrosa. Turn right in S. Martinho de Anta (road 322-2) towards Ferrão and pass Roalde, Paradela Ordonho and Gouvinhas. After passing Gouvinhas (around 5 km (3.10 mi)) you will find Quinta do Crasto. Coming from Lisbon, take the exit North on the morotway A1. In Albergaria take the exit to Viseu on the motorway A25. Just before arriving to Viseu, take the motorway A24 towards Vila Real. Leave the motorway on the exit 13 and drive towards Sabrosa. Turn right in S. Martinho de Anta (road 322-2) towards Ferrão and pass Roalde, Paradela Ordonho and Gouvinhas. After passing Gouvinhas (around 5 km - 3.10 mi) you will find Quinta do Crasto. "Apesar de distante, a Quinta do Crasto foi um dos lugares mais lindos que já conheci. O site me proporcionou toda a ajuda necessária para a escolha da vinícola." Tivemos uma ótima experiência em Portugal e com a Wine Tourism. Todas as reservas estavam corretas, mesmo as que precisamos alterar. A Quinta do Crasto tem uma vista deslumbrante. Agradeço pelos serviços realizados." This was an excellent wine tour and tasting. Views from the pool to the Douro River, amazing. Good wines. If you go to Portugal don't forget to visit this famous Quinta. Douro Valley is very different from other wine places in the world. "Felicito e congratulo o trabalho da Wine Tourism in Portugal, classifico-o como excelente, simples e prático. Relativamente à visita realizada na Quinta do Crasto, fui extremamente bem recebido, com muita simpatia e prontidão por todo o Staff. A visita foi efectuada dentro do apresentado na oferta, no entanto realço o excelente trabalho do guia, que de forma muito afável, partilhou experiências e conhecimento durante toda a visita aos diversos espaços,bem como durante a prova de vinhos. De realçar ainda a deslumbrante vista para o Rio Douro aliado a toda a envolvência que a quinta do Crasto proporciona a todos os visitantes."